Barbara Heard has studied at UCSD, Mesa College, SDSU, got her BFA in Fine Arts Northern Arizona University and her Masters of Fine Arts in Ceramics at Tulane University. She has been fully committed to ceramics since 1977, working in all mediums that ceramics has to offer. Pit firing is her specialty. She takes large forms on the wheel and after they are fired to 1900 degrees, they are placed in seawater to absorb the smoking ash. A pit is dug in the sand and lined with the pottery, sawdust, and other combustible materials. The fire burns for at least eight hours before a beautiful piece of pottery emerges. Her work is represented in galleries all over the United States: from the West Coast, the Canyon Collection in Sedona AZ, El Presidio Gallery, Tucson, AZ, the Bashert Judcia Art Gallery and Warparth Traders, Albuquerque, NM to Midwest in galleries in Michigan, Illinois, and Ohio to the East Coast, in Birch and Burlap, Jackson, NJ and Hyacinth Crafts, Bayside, NY. 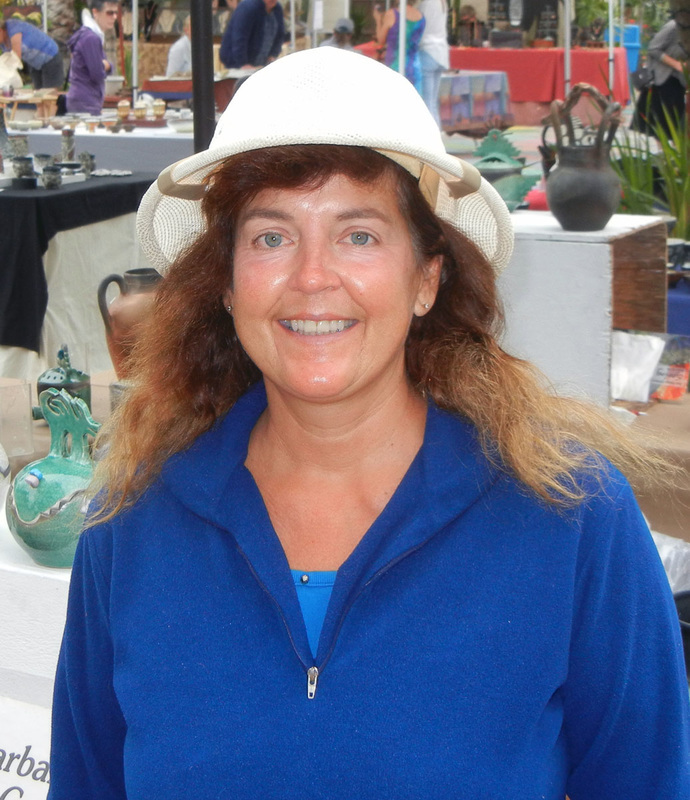 She shows and sells her pots in Art shows, galleries and museums all over the Southwest and up and down the West Coast. As Barbara says: “I love to work in clay”.